The puzzle is a popular children's game, which in reality imitates medicine: by connecting the individual pieces, a whole entity is created - body and soul. 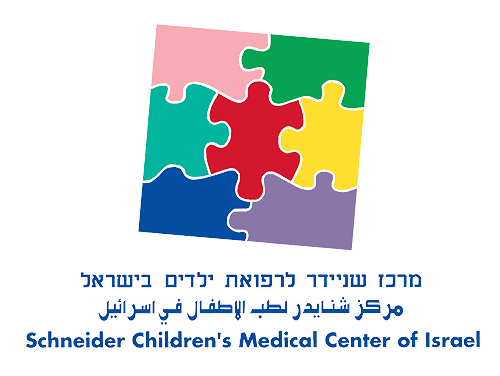 The puzzle thus symbolizes the all-encompassing approach to pediatric health care developed and practiced by Schneider Children's Medical Center of Israel. Separately, the seven puzzle pieces represent each of the seven floors of the hospital dedicated to specific subspecialties of pediatric medicine. The puzzle logo is aligned at an angle, and just like children, suggests a measure of childhood mischief, while each of the puzzle pieces has a different color and shape, much alike the children from the Middle East. Finally, the three languages in the logo symbolize the concept of Schneider Children's as a "bridge to peace" to all children in the region.